CANAPI is proud to offer several housing and support programs for people living with hiv and lgbtq youth. If you are not LGBTQ or living with HIV, please contact 211 for emergency assistance resources through other organizations. Harmony Place, established in 1994, is CANAPI's permanent supportive housing program. It contains 16 units for individuals and families, 15 of which are federally subsidized. Tenants in this program enjoy regular community events including cooking programs and art classes. Tenants also have regular access to CANAPI staff, to assist in communicating with other agencies, paperwork, organization and budgeting. Through the Nutrition Program, Harmony Place residents receive cooked organic meals and organic foods with excellent recipes once per quarter. To start the verification process, call 211. 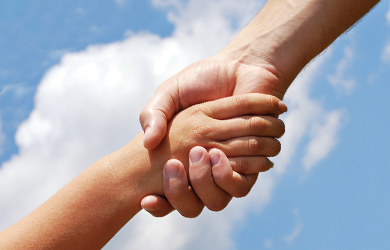 CANAPI offers a Tenant-Based Rental Assistance Program called Helping Hands. In this program, an average of four households per year have the opportunity to rent an apartment in the community aided by CANAPI subsidy. For twelve months, CANAPI staff works closely with these clients to equip them with tools necessary for independent living. At the end of the program, clients transition into full rent responsibility and are able to continue onward knowing that their housing situation is healthy and reliable. Beginning in September 2017, CANAPI will offer Rapid Re-Housing programming using grant dollars from Summit County's Continuum of Care (CoC). Up to nine households at a time will be eligible. In this housing model, homeless individuals work with CANAPI case managers to find and secure rental housing in the community covered by an income-based subsidy for a limited period of time. The length of this assistance may vary on a case-to-case basis but may not exceed twelve months. Through involved case management and self-actualization, households set and achieve goals necessary to establish and maintain permanent, independent housing. In addition to in-house programming, CANAPI offers referrals to the Shelter + Care program, a permanent supportive housing voucher program operated by the Akron Metropolitan Housing Authority (AMHA). This program is offered to households with HIV and an additional disabling condition whose housing needs would otherwise be unmet. Those admitted benefit from an ongoing income-based subsidy and access to support services, based on an annual needs assessment. CANAPI offers up to 21 weeks per year of emergency assistance for those with HIV/AIDS who are experiencing documented financial hardships. Assistance funds are used to prevent the loss of housing stability (an outstanding utility in danger of shut-off or late rent balance, for example) and are paid directly to landlords or service providers. This assistance accompanies counseling to prevent future occurrence and is limited by both frequency of assistance and funds availability. Applications and counseling are provided by Equitas Health. If you are in need of emergency assistance funds, please contact Equitas Health at 330.794.5289 to initiate an application process. Once applications are submitted to CANAPI, disbursements are made within 8-10 business days. "I moved to the greater Akron area back in November of 2017. By March, due to unexpected events, I no longer had a car, a place to live, a stable job, and I was couch surfing to survive. I was lost in a brand new city in a brand new state. I didn't know anybody or have any friends or relatives in the area. I was terrified and very alone. When I found CANAPI, the staff took me in and treated me like we'd been best friends all our lives. Through their Youth Housing Assistance program, they graciously provided me with living essentials and groceries to help me get by. They gave me bus passes, allowing me to get a better job. And they've made sure I have a roof over my head so that I can focus on getting back on my feet. When I was at rock bottom with nowhere to go and no one to turn to, CANAPI picked me up and gave me my life back." CANAPI offers a LGBTQ Youth Housing Assistance Program for LGBTQ youth up to age 25 in Summit and Portage counties. This program helps LGBTQ youth establish stable housing by paying the first month's rent or a security deposit. This program also equips LGBTQ youth with an "essentials kit" including toiletries, groceries, or anything else they may need to survive or thrive while in between stable housing situations. Call 211 to be assessed for housing assistance across the entire community.